Millions of brand-name items available at pennies on the dollar, with no overhead and no risk. All you do is post listings on eBay, then hand the orders off to someone else for fulfillment, and rake in the cash with virtually no work. Testimonials that say you can achieve financial independence in less than a week. All of this just by paying a small fee to a drop-shipping company. What's not to like? It's a good thing nobody else knows about this yet, or everybody would be doing it. You should hurry, pay the fee, and get a membership, right? The answer to the question above is a definite "Maybe." The fact is that many thousands of eBay sellers do know about these companies and are using the same handful of heavily advertised and heavily "reviewed" drop-shippers to try to become successful sellers. There are three major types of "wholesale drop-ship" businesses out there right now, and there are real differences between them. These companies claim to offer wholesale prices to you in exchange for a membership fee, after which you can start listing products right away, straight from their website, without any additional legwork. As a service, they have basically saved you the trouble of finding wholesalers, building relationships with them, or even placing orders with them, instead of gathering products from many actual wholesalers and distributors into a single, more or less automated catalog and drop-shipping system. These companies offer millions of items available through wholesalers around the world, once you've used their tools to search through the products and companies and identify those that have been identified as likely pending successes. Once you make your picks, you express interest, forge a relationship, list items, and let the willing wholesalers you've found do the rest. These companies don't make many claims at all since they're mostly invisible online. When you do find them, doing business with them is not about filling out a web form. They may be willing to drop-ship, but they'll often want volume buys instead and refuse to work with you unless you supply a business registration to them, and they'll usually only have a few to a few dozen products on offer—certainly nothing like the millions offered by the first two types of companies in this list. So which of these kinds of companies do the most successful eBay resellers usually do business with? If you guessed the third kind, you're absolutely right. At the same time, the first two kinds of companies have launched more than a few eBay sellers that have gone on to do well. Here's what you should know about each type of company. One-Stop Drop-Shippers That Make It "Easy"
Drop-shippers that make it easy for you to get started all items in one catalog, near-automatic online store creation, and listing tools, no need for a business license, just click and go and in a matter of minutes you're a business with an "inventory" for sale make it easy for everyone else out there to get started, too, with the very same products and prices as you. What's more, they often struggle to offer the best wholesale prices. In fact, they're middlemen. They themselves have relationships with wholesalers and source products at wholesale prices, but they make money on markups that you pay, not just on membership fees. They may even be drop-shipping themselves, handing your order off to someone else after you hand it to them. Because they're one more step removed from actual manufacturers and distributors, their stock availability and product information can at times be a step or two behind, which can mean customer service gaffes that you are responsible for as the person that created the listing and that affect your seller performance and feedback. Are these kinds of sites worthless? Not at all. Most of the time they deliver goods as advertised and enable some to get into a business that would otherwise simply impose too much complexity and overhead at the outset. Some eBay sellers also continue to use them as a component of an established eBay business but not generally as its long-term foundation. 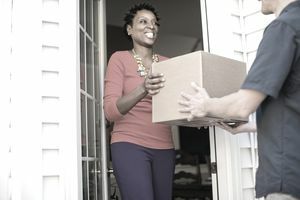 The second kind of drop-shipping business is actually a pay-for-access catalog or a search engine that lists many thousands of companies that are willing to drop-ship for eBay sellers, along with something about product lines, prospects, and how to go about building relationships. Membership in this kind of site can actually be very useful, since in most cases it will put you in touch with bonafide wholesalers, but you're in for many long hours of searching through the catalog and making contacts, in most cases with no guarantee that these companies you contact will actually be willing to do business with you at a volume or on terms that you are comfortable with. Many sellers report that only a small percentage of the companies listed actually respond to their queries. What you're paying for here is the convenience, since much of the most critical information here, including the list of wholesalers and distributors in question, can be found without actually joining this kind of company. If you're doing the research to find them on the drop-shipping catalog site that's charged you a hefty membership fee, you could likely just as easily do the research to find them without the catalog if you're that serious about your eBay business. On the other hand, because of the time savings involved, there's real value here for many sellers, so long as they aren't expecting a turn-key business model or anything that comes close to it. These are actual wholesalers in the traditional sense: they don't sell to the public, at any price, simply because they're not equipped for that. They make or distribute only a handful of things, but they make or distribute a lot of them, and they leave the selling to others, like stores, or you, or the first kind of "drop-ship" business discussed above. The prices that you'll get here can make you competitive on eBay, but sourcing and selling products from these kinds of companies are definitely not as simple as the "Search Google, find drop-shipper, give MasterCard, click, profit" model marketed by the previous two kinds of companies. Instead, you'll need to approach these companies like a business, as a bonafide business, in a business-to-business transaction, the old-fashioned way. Since these companies aren't selling to just anyone that can pony up a credit card payment after stumbling across their website, you'll actually have something of a competitive advantage in your pricing and margins if there's demand for your product. And, as it turns out, most of these kinds of companies aren't interested in having you pay a fee in order to do business with them. They make money by selling goods, not memberships. The legwork to find these kinds of business, however, is up to you, and there is no button that you can simply click in order to launch the relationship. You'll be making phone calls, doing research, and turning up in person or by phone to talk turkey. They also won't promise you financial independence in a week or help you to set up your e-commerce website. That will be up to you and eBay Stores. By the companies themselves, building multiple review websites or "independent" blogs, then optimizing them carefully to ensure that they appear at the top of Google search results. By professional "report writers" whose websites are littered with ads and sales pitches on how to get rich quick, lose weight quick, or accomplish very quickly any number of other things that most people very much want to accomplish. Some feel that this kind of marketing is a bit suspect, but the businesses themselves aren't scams at all; many sellers have in fact made money using them, and a few have no doubt become very successful at it. For the most part, these companies offer a service and deliver purchased products. This is why some of them have become eBay Certified Solutions Providers. Most successful sellers, however, would probably not support the claim that you can achieve financial independence and boatloads of free time very quickly merely by paying a quick fee and making a few hours worth of clicks. Drop-shipping website or no, there's just much more to eBay success than that. Sellers that last and earn well generally do so the old-fashioned way: by doing tons of market research and legwork, crunching business numbers on a continuous basis, understanding supply and demand, timing, and marketplace features, creating great listings, staying on top of things (even if things means "my drop-shipper") to ensure that customer service is excellent, and putting in the long, hard hours and personal risk necessary to see that a small business does well. Sometimes this also involves using a drop-shipping company, but in just as many cases it doesn't. If you want to read real reviews of a particular drop-shipper, wholesaler, catalog, or another similar selling resource, don't search Google, which is far too easy to manipulate for those with cash and technical skill. Instead, go to places where other successful eBay sellers gather like the eBay community's discussion boards and type in the name of the company in question. Be prepared for some honest reviews, in most cases, that will burst the marketing bubble that tends to get new eBay sellers imagining that instant financial freedom is just a few clicks on a drop-shipping website away. Finally, rather than trying to automate your success, something that's rarely possible in the real world, do something more practical and obvious and look around to see what sourcing opportunities you can access, locally and beyond, that other eBay sellers can't. Usually it's a better strategy to connect on a wholesale basis with manufacturers in your local area, drop-ship capable or not, than it is to go for the "major brands" that tens or even hundreds of other eBay sellers are also trying to sell at cutthroat prices (and, at times, using the very same sources that you'd be using).